Don't tell the kids! Our pro tip to teach counting, patterns, and more. We don't immediately think of math when we hum a favorite tune or get up and dance to a favorite pop song, but amazingly, there are mathematical concepts in all of it. Don’t tell the kids though! As an educator, I loved playing music in the classroom and getting the kids moving, laughing, and learning. The children would be counting and repeating patterns as they sang "Five Little Monkeys" or "This Old Man", all of which are part of early math skills development. There is a strong body of research that highlights the connections between music and math in brain development. Musical patterns, rhythm, and tempo support mathematical concepts such as sequencing, simple counting, and patterns. Music creates an order that helps children learn the patterns important in early math such as repetition and relationships. Musical rhythm can have a positive effect on a child's attention skills and how long they can remain engaged. Music also has an effect on memory. For example, how many times have you recited, "thirty days hath September, April, June, and November"? You probably learned that in elementary school, and yet you still remember it today. 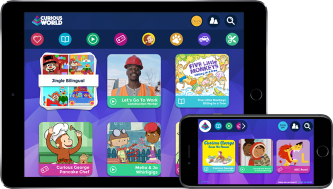 These connections to concentration, attention, focus, and learning help not only in building math skills, but also with early skills in literacy and social-emotional development. As you go about household tasks such as folding clothes, say: first we fold the shirts, fold the shirts and fold the shirts…then we fold the socks, fold the socks, etc. Repeat the verses. You can do this again while putting away toys or setting the table. This helps with vocabulary development as well. We love "One, Two, Buckle My Shoe" or "Twinkle, Twinkle, Little Star". The counting, singing, and repetition will help build attention skills as well as math. While playing music and dancing, take turns with who is the leader. Following the steps supports learning sequences. Start with tapping out a beat and ask your child to repeat it. Try again with other beats such as stomping and then clapping a pattern. Your child will be learning concepts such as matching and number patterns. Make a shaker with beads in a bottle, or use two wooden spoons as rhythm sticks. 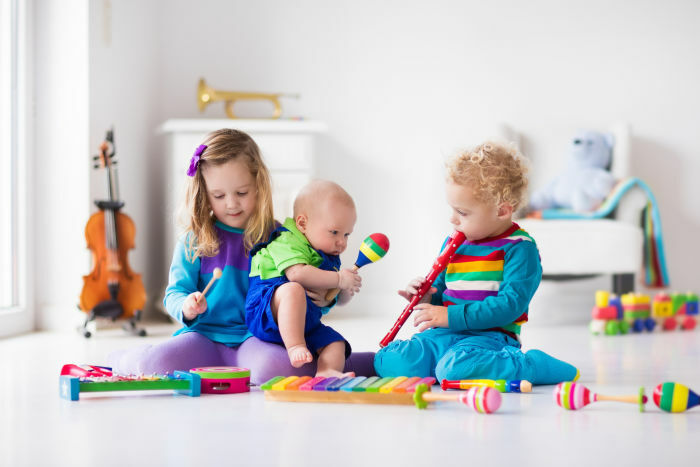 While your child is playing the instruments, she will be measuring, tapping out patterns, and counting. You and your child will enjoy the fun and the music, and she'll be well on her way to becoming a mathematician!